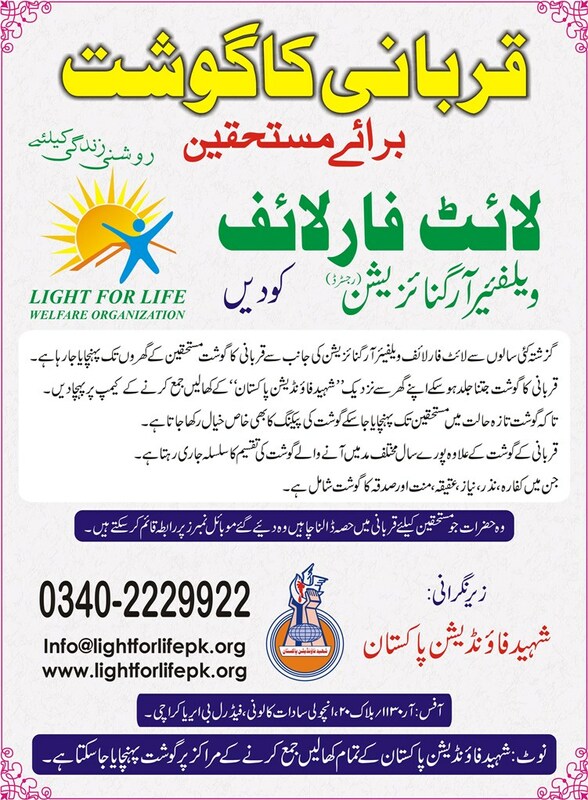 Like previous years, On the event of Eid-ul-Azha distribution of meat in deserving families is done by the management of Light for Life welfare organization. This year meat collection will be collected at Hide collection centers organized by Shaheed Foundation Pakistan. After proper packaging this meat will be distributed to deserving families by Light for life workers in different areas.